The BHS is not the only coaching qualification available to you. You could look at the UK Coaching Certificates via the Association of British Riding Schools – the ABRS. What exactly are these UKCC’s? United Kingdom Coaching Certificates were introduced for UK sporting bodies by the government via by Sport Coach UK. The purpose was to offer a graded and tiered level of Coaching Qualification. At least 20 different sports use these qualifications including Equestrian organisations. The Coaching Certificates are recognised throughout the Sport Industry as well as the general public who now have a qualification by which to gauge the level of coaching education achieved by the holders. All Equestrian UKCC endorsements are awarded through Equestrian Qualifications GB Limited (EQL) who is approved by Ofqual the Office of Examinations and Qualifications regulation. The British Equestrian Federation require ECL to award the certificates for all the Centres for delivery. The Association of British Riding schools are a UKCC Centre for delivery. 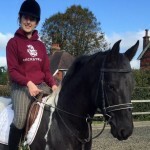 The ABRS, the BHS and Pony Club deliver generic coaching courses Levels 1 – 3 and work from a Riding technical syllabus. The BHS have now incorporated the coaching certificate assessment criteria into their teaching qualifications. Other member bodies work from their own technical syllabus which relates to their particular discipline. For instance, The British Show Jumping Association, British Dressage, Pony Club, Vaulting, RDA, Polocross etc., all offer UKCC qualifications. Holders of UKCC Level 2 qualifications with the ABRS therefore, should be able to obtain freelance teaching insurance without issues. ABRS candidates have usually been working part or full time within the industry prior to taking Level 2. In some instances direct entry to ABRS qualifications may be gained via the APEL system of learning & training. i.e. Accreditation of Prior Experiential Learning. Individual member bodies of the British Equestrian Federation will advise what is required for entry to their qualification assessment.